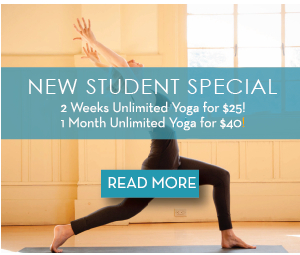 Enjoy an entire introductory month of unlimited yoga, to find a rhythm for your practice! Become a member, and save! 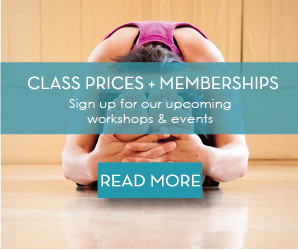 If you take at least two classes per week, Monthly or Yearly Unlimited membership offers the lowest price per class. Students who practice regularly experience great benefits, so we have crafted a price structure to help support a goal of consistency. Click on the links below to sign up for Monthly or Yearly Unlimited Membership. No initial Fees, four-month commitment required. One free guest pass per month – bring a friend! For your convenience, we offer single classes and class packages. Class Cards are good for one year from the purchase date.